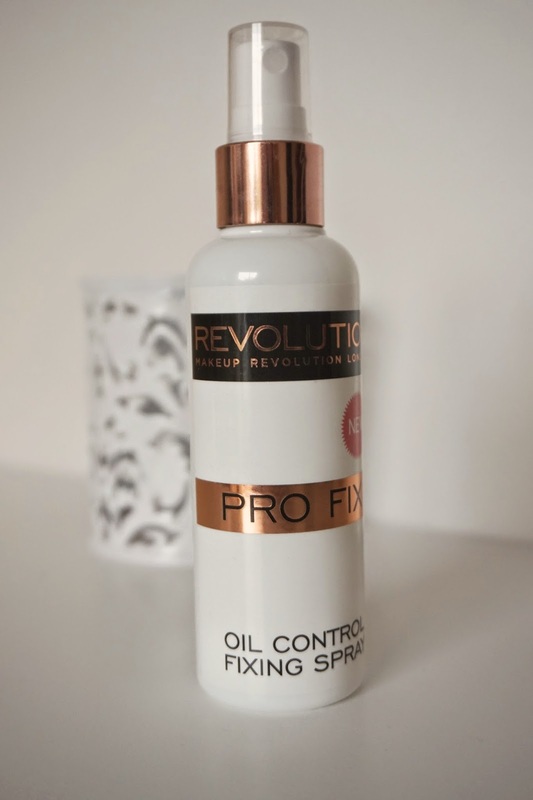 I received the Pro Fix Oil Control Makeup Fixing Spray from Makeup revolution which they kindly sent out for me to try. So here's my thought on this NEW product. This product got me excited instantly as I always seem to have a shiny forehead no matter how much power/ product I apply to prevent this. I also get to midday, having to reapply certain products to my face as they have dulled or disappeared almost. So for a product to help everything stick around to the end of the day is perfect for my lifestyle. Once applying your normal makeup routine the steps are simple. All you have to do is shake the product for a few seconds, hold it at arm length, close your eyes and spray. I did two spritz, one to my forehead area and one lower down to cover my lips and chin. 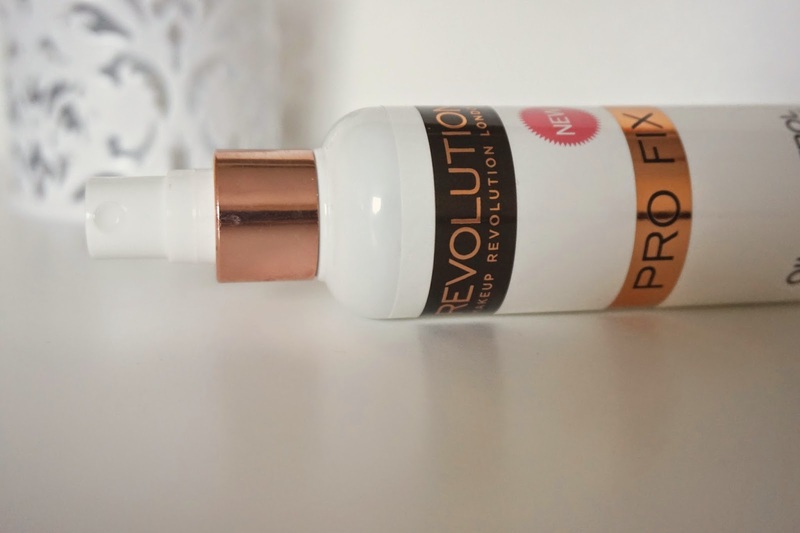 The product dries almost instantly! 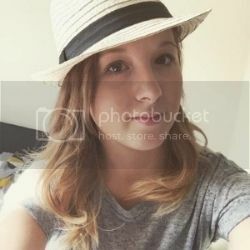 My only concern was that if I used the spray all over my face would it dry other areas of my skin which are normal compared to my forehead having the alcohol denat ingredient in the product. It's safe to say after using this product 2/3 times now it's never left my skin dry after being on for 8+ hours each time. This wonderful product is priced at £5 and I think it will be my go too especially in the summer to help you keep that fresh matte look. A big Thank you to Makeup Revolution for letting me try this amazing product It has become one of my makeup bag essentials.